Herbalzym is an alternative medical organization dedicated to developing treatment protocols for a diversity of diseases using natural medicine. For over 10 years, Herbalzym formula had been used with great success on so many terminally ill patients. It had been proven over and over again to be effective in clinical trials. In advanced stages of prostate cancer, it can metastasize to various regions of the body, most commonly the lymph nodes and bone. Tumor cell interaction with the surrounding microenvironment plays an important role in prostate cancer metastasis. 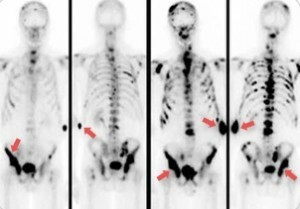 Approximately 90% of patients with prostate cancer have bone metastasis at the time of death. Once prostate cancer cells spread to the bone, currently, no treatment regimens are available to eradicate the metastasis, and cancer-related death becomes inevitable. Thus, prostate cancer bone metastasis-associated clinical complications and treatment resistance pose major clinical challenges.